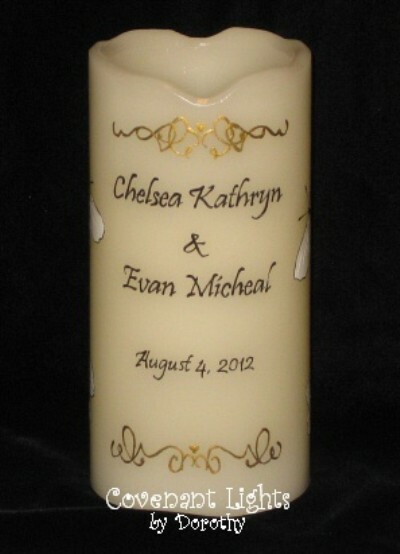 Name of Bride & Groom, wedding date and scroll work hand painted on front. "Life is not measured by the number of breaths we take, but by moments that take our breath away ..." hand painted on the back with white butterflies on the sides. 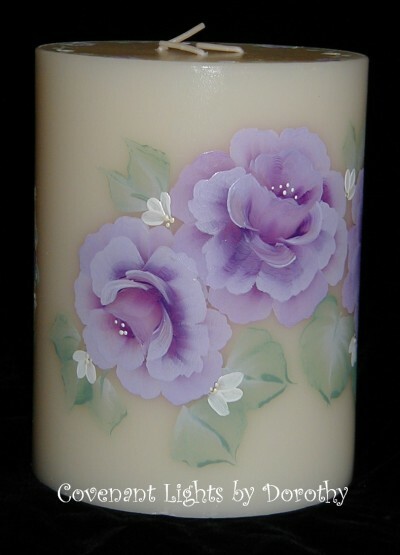 Candle in second picture has been turned on. 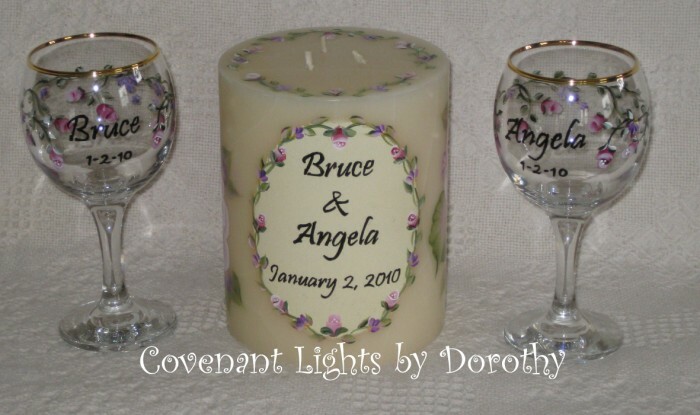 Personalized shower or wedding gift. 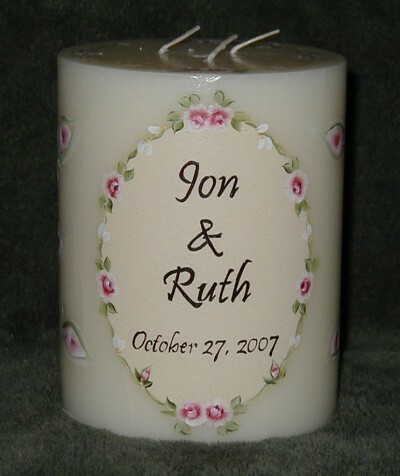 Name of Bride & Groom and wedding date hand painted in an oval of dainty roses and greenery. 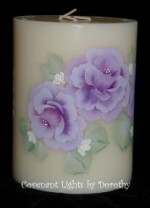 Additional roses all around. 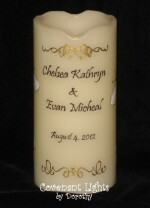 This beautiful hand painted candle can be burned during the reception on the wedding party table or guest book table. 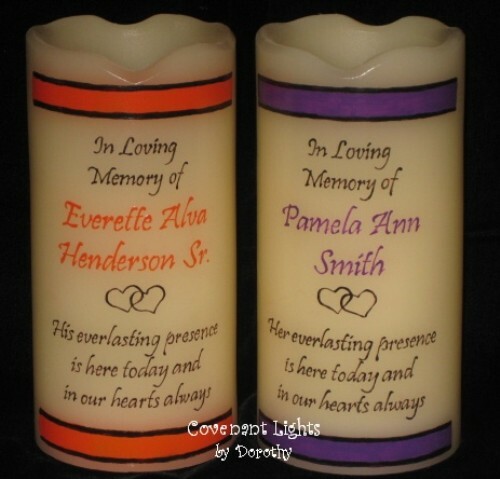 Many couples choose to burn this candle for a few hours as each anniversary is celebrated. 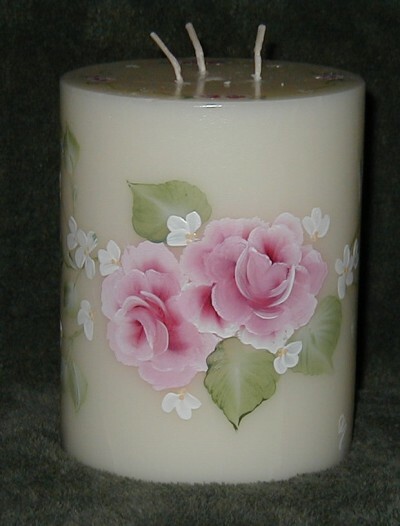 This candle can also be burned down just enough to make a well to insert tea lights. 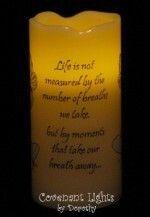 This is truly a one-of-a-kind keepsake. 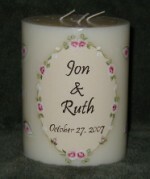 Name of Bride & Groom and wedding date hand painted in an oval surrounded with rosebuds and greenery. Additional large shabby roses all around. 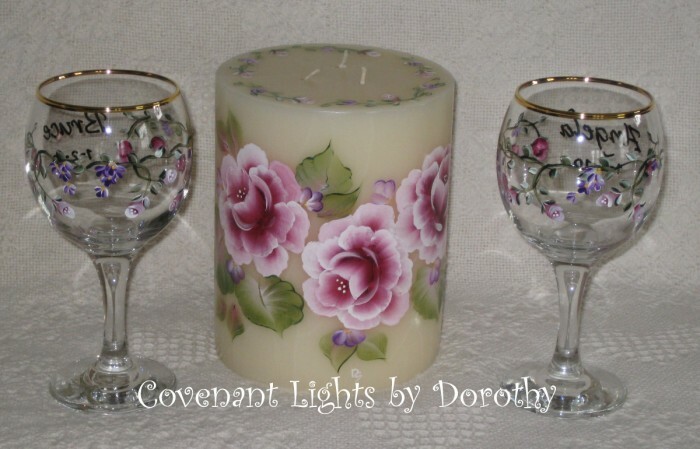 Beautiful gold-rimmed goblets also personalized with a vine of rosebuds.